America’s most famous teenager hosts a joke-filled variety show. In primetime television, particularly in years past, a hit show could be kept on the air almost indefinitely without even changing too much. A show could see every clichéd plot, every possible contrivance, and use each more than once, until the audience was so sick of the show that it would ultimately be cancelled. American television networks loved to keep things consistent when a show was hot. Only once its ratings began to slide would they order that a new character be born or the locale changed. For many series, you might be hard-pressed to pick out which season an episode belonged to, since many programs stuck to their original premises so strictly through multiple seasons. On Saturday mornings, however, even hit shows were sometimes massively retooled before being allowed back for the next season, and most were cancelled outright. Think about how many versions of Scooby-Doo there have been— many of them the same as another, but some versions were very distinct. 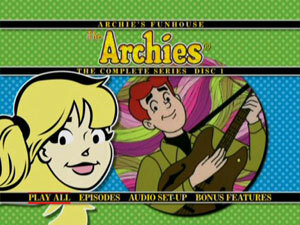 Another program that went through several versions was The Archie Show. A huge hit in 1968, the next year nevertheless saw a total change in how the show operated. Rather than simply keeping to the popular formula of two stories and a bubblegum pop song, it was decided to do a few things differently. 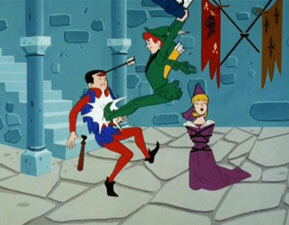 First of all, the decision was made to expand the show in 1969 to an hour, and call it The Archie Comedy Hour. To round out the hour, in addition to using previous Archie stories, they decided to bring in Sabrina, The Teenage Witch for two segments. Sabrina had first appeared in comics in 1962, and was introduced to television audiences prior to the premiere of The Archie Comedy Hour in a half-hour special called Archie And His New Pals. Sabrina’s segments still didn’t complete the hour though, so two other segments were produced, called “The Funhouse” and “Side Show.” These segments were modelled after 1968’s TV sensation Rowan & Martin’s Laugh-In, a live action show that focused on gags and recurring set-ups rather than stories. 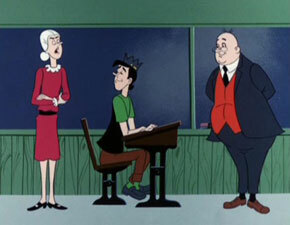 These segments on The Archie Comedy Hour were even scripted by two Laugh-In writers, guaranteeing the same combination of loony jokes and terrible puns. The Archie Comedy Hour was another success for Filmation and CBS, and each of the main headliners got his or her own one-hour timeslot in the 1970 fall schedule. 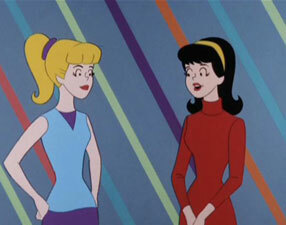 Sabrina’s show was Sabrina And The Groovie Goolies, while Archie got Archie’s Funhouse. Obviously, this version of Archie kept up the Laugh-In approach, but expanded it now to a full hour. Archie’s Funhouse opens with the Archies playing a song for an audience of young, live action children. 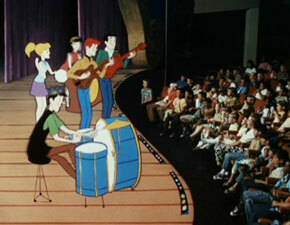 Then, as the show proper starts up, Archie and the gang continue performing for the same crowd, as if they are putting on a variety show. What follows is a rapid succession of gags, quick skits, and a number of regular features, like seeing Big Ethyl’s latest attempts to capture Jughead. 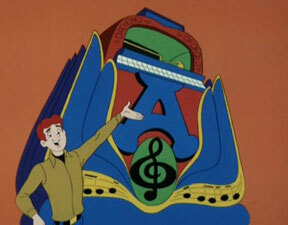 They also keep referencing the Giant Jukebox, though aside from being gigantic really didn’t interest me very much. I’m not sure what the big deal was, really. No one sketch on the show lasts more than about a minute, and many segments are substantially shorter. Reggie and Moose do a circus act. Betty writes in her diary (always filtering Archie’s blistering comments to her that day through her own rose-colored glasses). Cut to the kids in the audience, enthusiastically registering delight and applauding the performers. Do a few quick jokes again. Maybe add in a brief movie spoof. And then, of course, go to the music. In the version of the shows on the DVD set, each episode is only about twenty minutes, a remnant of when the show was split into half-hours for later airings. Within these half-hours, the songs begin about halfway through, with each episode getting three songs— which makes each episode rather bottom-heavy with music. The song sequences utilize the very same stock footage developed for the original The Archie Show. These were all-new songs, though, still featuring the uncredited Ron Dante and company. And they’re not bad! It was in The Archie Comedy Hour that the huge Archies hit Sugar Sugar appeared (it’s not in one of the episodes on these discs, though, but it has been included as an extra.) Sugar, Sugar was actually the number one hit of 1969, having been released on the album Everything’s Archie. Remember that this was an era where such artists as The Beatles, The Jackson Five, The Rolling Stones, and Elvis Presley were all active. Seeing an “imaginary” band capture the number one spot for the year was truly a phenomenon. Poor Dante (not to mention the other singers and musicians involved) never got credit at the time, as the identity of the Archies was contractually kept secret. The success of the song only helped propel the ratings of the already popular TV series. If you watch these episodes for the songs, then you will certainly enjoy the last half of each episode. As for the first half, the (mostly purposefully) lame jokes and bad puns can certainly make you smile, particularly if you have ever enjoyed the comic book exploits of the Riverdale teens; but watching more than one episode at a time becomes tedious in a hurry. Aside from joke fatigue, the show also suffers from stiff, recycled animation and overly cartoony voices. If we could see the original hour-long shows that had the “Funhouse” segments, I’m sure it would be more palatable, since The Archie Comedy Hour mixed in Archie and Sabrina stories; but devoting an entire half-hour to a steady bombardment of corny jokes and fluffy songs is a little too much for me. (And just imagine seeing Archie’s Funhouse in its own original hour-length form!) Of course, it was not practical to include the Comedy Hour shows, as that would have resulted in including the Archie Show segments already seen in the last DVD set. It is still nice to see this interesting piece of Saturday morning history. I’m particularly fascinated by the live action audience in Archie’s Funhouse. Just what were they so jazzed about? One wonders what they were really being shown that made them laugh and clap so hard. It is also fun to see increased appearances by the rest of the Archie cast, with lots of Big Moose, Ethyl, and Dilton Doiley, aside from the main characters Archie, Jughead, Reggie, Betty, and Veronica. The first two discs have a Jukebox feature that allows you to go directly to each individual song from the episodes. Thirty-three selections are included in total— 17 on Disc One, 16 on Disc Two. I know that the math doesn’t work out, when you have three songs per episode and sixteen episodes total, but I honestly couldn’t be bothered to track things closely enough to tell you why it worked out that way. Some songs may have appeared more than once during the series. Adding to the math confusion is the separate entry for The Archies’ big hit, which can be selected from the extras menu on Disc One by clicking onto Sugar, Sugar Music Video (3:02). It uses the same stock footage as the other songs, but apparently doesn’t appear otherwise in the episodes themselves (I admit it, I couldn’t watch them all). 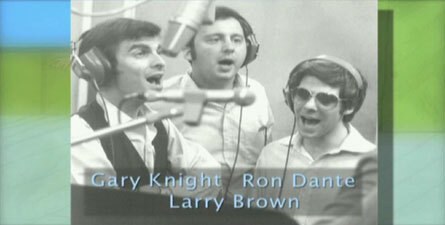 Similarly, there is a Jingle Jangle Music Video on Disc Two; this song topped the charts for one week in 1970. The video quality of this one is not as good, looking quite faded. The third disc in the set is devoted to bonus features, and it’s a pretty nice selection. There are seven Bonus Episodes, which at first look to be in the same format as the ones on Discs One and Two, and they also each run about twenty minutes. However, these actually have additional footage that originally appeared on The Archie Comedy Hour. There is a major difference between these and the episodes that appear elsewhere on the set. There are no songs; instead, these episodes largely consist of the “Side Show” segments from The Archie Comedy Hour, though there are still the other bits like “Betty`s Diary” too. It’s a nice addition to the set, but serves to further remind us that we didn’t get the original Archie Comedy Hour shows which may have been preferable. Ron Dante: The Voice Of The Archies (26:30) is a terrific addition to this set. Yes, this is a nearly half-hour interview with the man who provided the lead singing voice for the “fake” band. His enthusiasm for his anonymous gig is genuine, as he shows off part of his large collection of Archie memorabilia. He also goes into detail about how the band was formed, and discusses the various other performers and songwriters, not to mention the man behind the band, Don Kirshner. Unfortunately, the audio in his interview echoes a bit, but you quickly forget about that as he describes the New York recording sessions, and his later career that ranged from singing jingles to producing for Barry Manilow. Really interesting stuff. And there’s another gem: Archie And His New Pals (24:23)! This definitely falls under of the category of “I never thought I’d see this on DVD!” The special that introduced Sabrina to Archie’s animated world appears in its entirety, allowing us to see that Archie does not even meet Sabrina at all! In fact, Sabrina spends most of the episode talking to herself, on her first day at Riverdale High. She does manage, however, to get involved in what is really the main plot of the show, that of a race for student president, fought between Big Moose (supported by Archie and his friends) and Reggie (who is helped by Dilton). At the end of the show, I still didn’t know who Archie’s “new pals” were supposed to be, but it is a pretty good special otherwise. Looking at the credits reveals another interesting tidbit: Don Bluth is given credit as the “designer” of the special, which may help to explain some of the more (relatively) elaborate animation and posing seen in it. Classic Media and Genius have nicely kept up the same design elements that they used in packaging The Archie Show. The digipack gets a clear slipcase for that “cel” look, this time showcasing Betty on the front. The cover is too tight, though, and quite difficult to remove. Oddly, nowhere on the packaging do we see the animated versions of the characters, as all the artwork looks newly-produced with the current comic book style, though at least everyone is dressed in Sixties fashions. Inside, the three single-sided discs look like little records. Two are in the middle part of the three-part foldout, held ever-so-securely by a locked design that requires you to push down on a button to release the discs. Failure to do so would undoubtedly require you to break to discs to remove them. The third disc, sitting by itself in the third section, pops out more easily. PAL sources had to be used again, and the results are a little rough. The prints look faded, and ghosting and jittering abound. Physical artifacts are quite evident. It is such a shame that the original masters for Filmation series are generally not available anymore, but the Archie series of shows are about the roughest I’ve seen. They’re not quite horrible, but this series looks every one of its nearly forty years. The mono sound works fine, and despite being limited in its fidelity and range definitely comes off better than the video. English and Spanish tracks are available, and there are no subtitles offered. I was surprised by how much I enjoyed the Archie Show DVD set released earlier, and was quite anxious to get to see this set of Archie’s Funhouse. Unfortunately, this one was a disappointment in comparison. The rapid-fire pace of the show is impressive in its way, but fatigue sets in quickly. Ending the show with three songs will be enjoyable to many, but I missed seeing the longer stories from Archie’s first TV season. 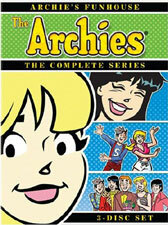 The fact that this set has neither the second nor third Archie series, but rather later edited episodes, is notable. There are also some troublesome video issues, BUT the set is far from a wash, thanks to a fine set of supplements. Based on the bonus disc alone, I can recommend this set to Filmation and Archie buffs, even if the episodes themselves may not get much playtime. For those just wanting some good Archie episodes, stick with the first season. And for those looking for the Sabrina segments that were also a part of The Archie Comedy Hour, that DVD set shall be along shortly!